More than 100 egrets couldn’t wait for tomorrow’s Meadowlands Festival of Birding. They were milling around the tidal impoundment beyond Commission HQ this afternoon. They even flew up to the elevated boardwalk by the Environment Center rotunda and hung out. Mudflats were packed with peeps, yellowlegs and other shorebirds. We told them to make sure to come back tomorrow. Click "Continue reading" for a passel of great egret pix taken today. 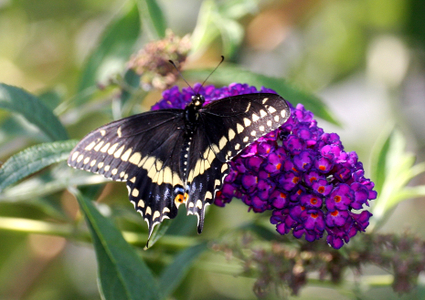 If you’re visiting DeKorte Park in Lyndhurst for the birding festival on Saturday or just enjoying the trails and views, don’t forget to stop by the butterfly garden in front of the Environment Center (first building as you come in). 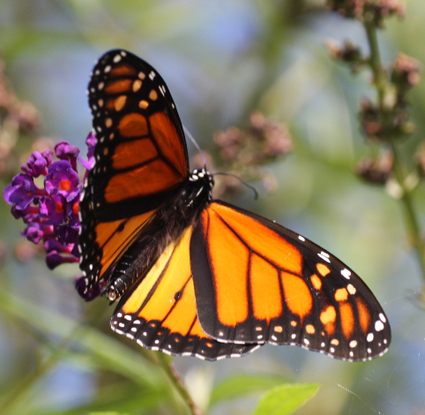 A cursory look this morning found four species, including a Monarch and black swallowtail — common but big and bold. Just a reminder that the big Bird Fest convenes at DeKorte Park tomorrow. The Meadowlands Commission’s Michael Newhouse will be doing a bird-banding demonstration from 7 a.m. to 9:30 a.m. at Harrier Meadow. There will be guided bird walks of Harrier Meadow — usually closed to the public — at 10 a.m. and 4 p.m. on Saturday as well. Click here for more about Harrier Meadow, including a video. 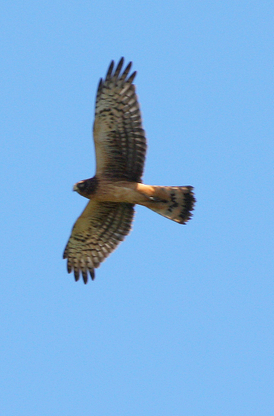 For the early a.m. bird-banding, you’ll need to go to the Harrier Meadow site on your own. NJMC staffer Jim Wright will park his silver Honda hatchback on Disposal Road near the Harrier Meadow Entrance. The guided bird walks meet at DeKorte and go by bus. If you can’t attend the bird fest but would like to go on a guided birdwalk in Harrier, e-mail Jim Wright (link above).